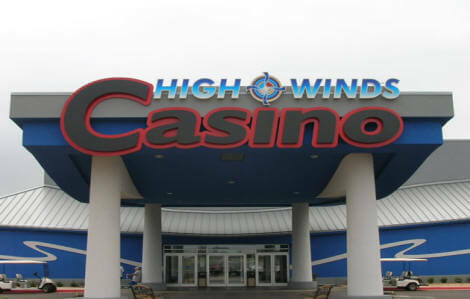 The High Winds Casino is located 4.5 miles east of Miami, Oklahoma on Highway 10. The Steakhouse Restaurant & Lounge - Open 11am - 10pm. Closed Mondays.